Well I figured I should start a build thread in hopes that it will keep me motivated to finish in a timely manner. Anyway, I wanted to build a bike that I could ride most anywhere: around town, long highway hauls, backroads, gravel and even some dirt. The only "logical" bike to me was another CB550. 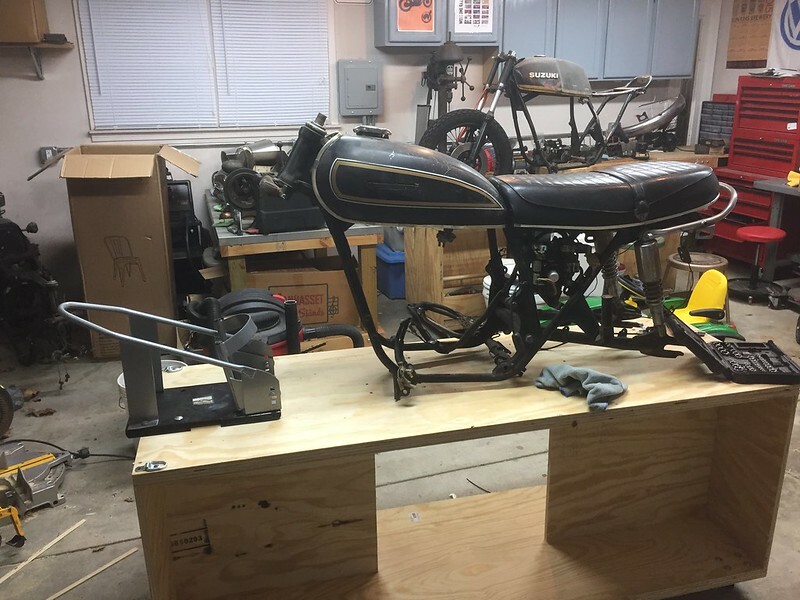 I have my '74 cafe project (see link below-still in pieces) and sold a 76' CB550 SS to buy my current daily - 2006 SV650. To me the 550 is a great bike, a good mix between the 350 and 750. Not really an ideal candidate for a scrambler but that's why I like it. I want it to be ready for anything that can be thrown at it and it's heavy ie : Warpig. Over the past 3 years I have slowly accumulated parts (some for my other build that will be used) and got some great deals recently to begin this project. I plan to keep the frame mostly stock and a stock reliable motor. Suspension will be a CB750 front end (1.5" taller than stock 550 front end) and taller Hagons on the rear to compensate. I plan to fab some sort of rear rack for gear long with sidebags/panniers that can be removable. 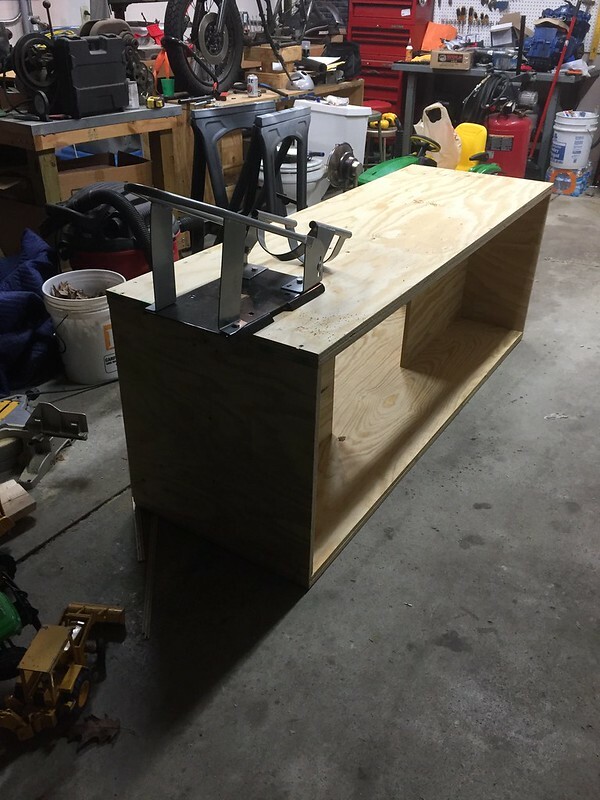 Built a second rolling workstand so I could keep both projects going, store parts and roll away when not in use. Also, in the top right of this pic is the motor. Yes, it is currently smurf blue (not for long). 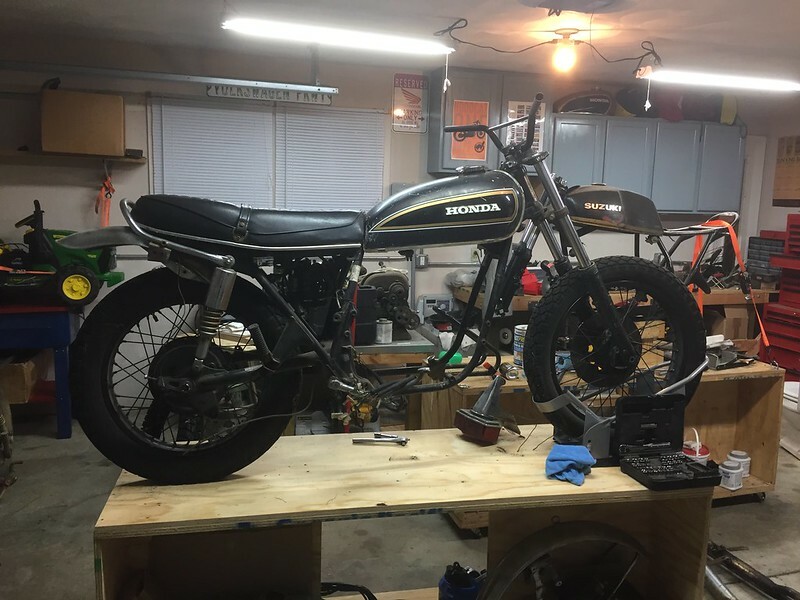 In the background is my '74 550 Cafe project that has been in the same state for 3 years or so. I will update more this weekend. Looking good, Andrew! 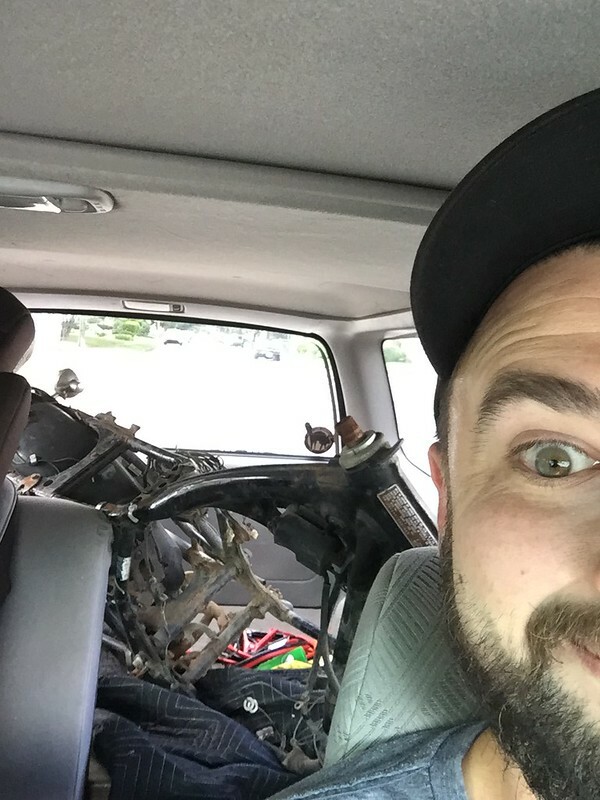 Are those still my forks on your 74'? Can't remember what else you got from me that year at VMD. Actually the CB750 front I got from you is going on this build! The '74 has stockers for now. Killer. You have have about 4 months. Tic toc. Found you a stock airbox!